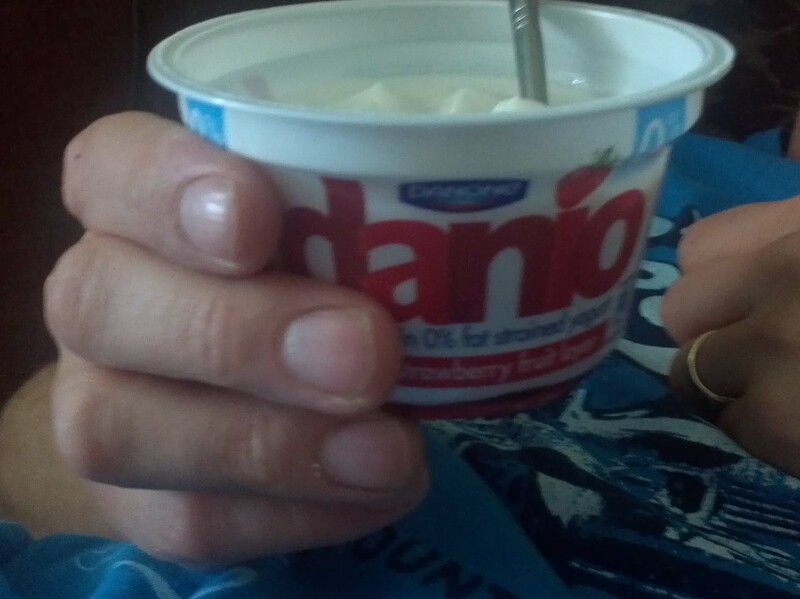 As a BzzAgent I was given a chance to try Danio – Super Thick Yogurt – made by Danone. My BzzAgent kit arrived and in it selection of money off vouchers to purchase this new product. I was given 8 vouchers in total with different monetary values. I used 6 of them myself, as I wasn’t able to choose which ones not to buy. The remaining 2 vouchers I gave to a stranger in our Tesco store. This lady helped me to resolve my dilemma over the hard choices regarding my purchase of Danio 🙂 She suggested that I should get one of all 6 flavours so I can try them all and form my own opinion with a full understanding of the whole selection. I liked her advice. She was keen on trying them out as well, so I shared my remaining vouchers with her. We tried them all and they are all really tasty. Each pot has a RRP of £0.85 and total weight of 160g. 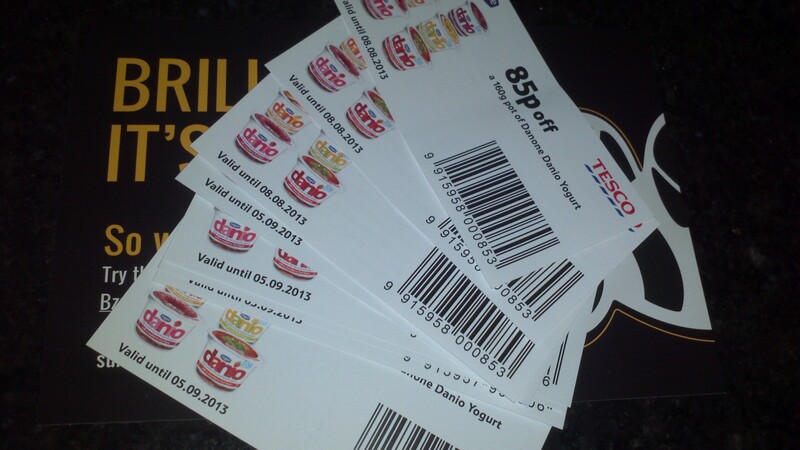 Danio is currently on special offer in Tesco – any 3 for £2 – offer valid until 16/07/2013. 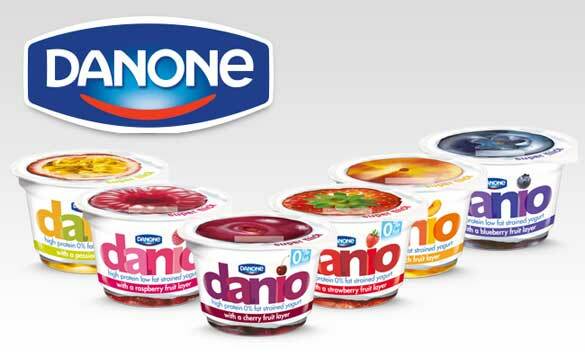 Danone Danio is not like other regular yogurts. Danio is extra thick! Really believe me, it is thick, you can almost slice it! You can turn your tub upside down and the spoon won’t move it will still be there. Low fat strained yogurt with a fruit layer and sugar. The secret behind Danio’s super thickness? It is made to Danone’s strained yogurt recipe which uses more milk (than standard yogurt), to make it amazingly thick and high in protein. Sounds good does it not? Tastes good too! I especially like the fact that it is so thick. There is a good selection of soft cheeses on the market, but most of them are soured. Danone Danio can be used instead of soft cheese on your morning toast or a bagel. Sweet breakfast, your way! Product was provided by Tesco via BzzAgent free of charge for review purposes. The opinions expressed in this review are honest and my own. < Previous Is Your Pet The Pet Of All Pets? Next > Please, can we play some ball?